Family is what Marvin Village Dentistry is all about. During our hiring process, we are looking for the brightest and best in the industry. We do, however have one extra requirement from our team members – they must be good with kids. Children, especially, need extra care and understanding when faced with the possibility of undergoing dental treatment. That is why our team members will take the time to understand the feelings and concerns of your children, helping them relax and get involved in promoting their own oral health. We provide a wide range of pediatric dentistry treatments, which we know will keep your children's smiles in good shape throughout their lives. From pregnancy, your child's one year appointment, and all the years that come after, Marvin Village Dentistry will continuously evolve treatment options to reflect the changes that your little ones experience in life. Your family is our family, and we couldn't be happier to take the journey right by your side. Contact us today to book an appointment for one or all of your children. At Marvin Village Dentistry we understand the you have a busy life. Our office sets aside time for family block appointment scheduling so we can accommodate everyone at once or at least as close together as possible. If you are trying to set aside a time where everyone can knock out their visit to the dentist at one-time, then call our office today and we will do our very best to make it easy to get your family to the dentist! When we say we love your kids, we really mean it. We are not only interested in being your family dentist; we want every visit with us to be a fun and educational experience. We provide a play area, refreshments and an internet bar, so that your kids don't feel like a visit to the dentist is a boring chore. When it comes to education on oral health, our team makes it fun and gets your kids proactively involved in maintaining oral hygiene. Too often kids are left out of the loop, with no say in the dentistry treatments that they receive. The Marvin Village Dentistry approach helps your kids understand which treatments are best for oral health, and why they should want to ensure their teeth and gums remain healthy. Kids are smarter than we adults give them credit for, so when you visit Dr. Walford your children are given the respect and support that they deserve. 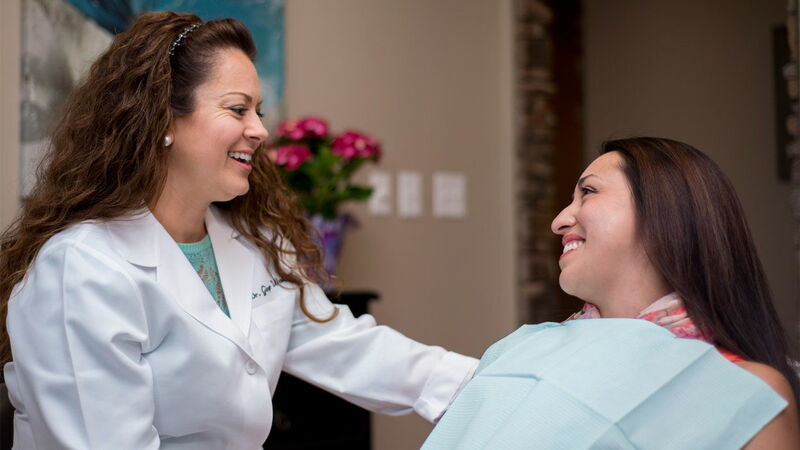 The team at Marvin Village Dentistry understands that many patients have a fear of going to the dentist. Our dental team uses the latest advancements in technology to ensure that your visit is pleasant and as pain-free as possible. We have an incredibly comfortable environment that will appeal to all of your senses and we will provide five-star comprehensive service that makes your comfort and well-being our priority. Dr. Walford and her staff made my 2-year-old's first visit to the dentist better than I could have ever imagined. She even asks to go back! Every single person treated my daughter like she was their own. We had a wonderful experience and highly recommend Marvin Village Dentistry! Love Dr. Ginger and her team...they go out of the way to make sure you're comfortable and understand all that is going to be done. Great experience, and that says a lot, sinceI am not a fan of the dental chair at all. Highly recommended. Beautiful office, friendly staff and great service. Dr. Walford was so friendly and explained everything in detail. Had a great experience from beginning to end!! Thank you!! Best dentist ever, and the staff that work here are incredibly amazing as well! Highly recommend switching over to Marvin Village Dentistry. It was a very pleasant experience, the staff made me feel comfortable as soon as I came in, love the way they catered to my dental needs. Beautiful & comfortable office! Kind, competent & efficient staff! Wonderful & experienced dentist! Dr. Walford & her staff make going to the dentist a very pleasant experience! This is the place you need to go to for your local Dentistry! Experience the difference! Very friendly team! I will definitely make them our family dentist!